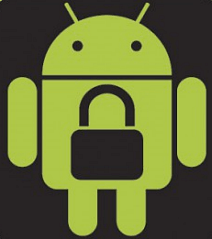 Encrypting an Android device is a good idea if there’s sensitive data stored on it locally. Encrypting it is easy, but there’s a few things to keep in mind. 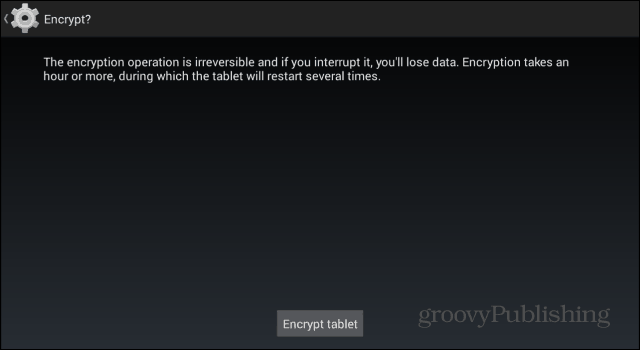 Before making the decision of encrypting your tablet, you should think whether you think any of the data on it would cause you problems if it were to fall into the wrong hands. For example, do you store pictures you wouldn’t want anyone else to see on your device or sensitive documents? From the moment the encryption process is over, data will be stored in “scrambled” format, and it will only be accessible after a code you choose has been entered. If the answer is yes, then by all means, go ahead and encrypt it, as it’s not complicated at all. If all you have on it is vacation pictures and a grocery lists, there’s not much of a point in doing it. Especially since an encrypted device will run a bit slower than an unencrypted one. 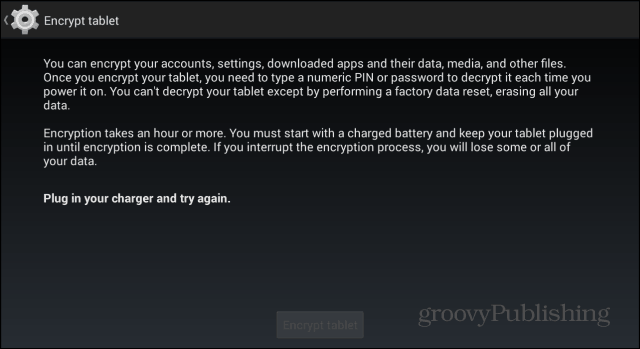 Also, an encrypted device will take longer to start up. This will work on devices running Android 2.3.4 and later — so there’s a pretty good chance that your device has it. Before proceeding, you need to have a lock screen PIN or password set. If you don’t, here’s how to set one. 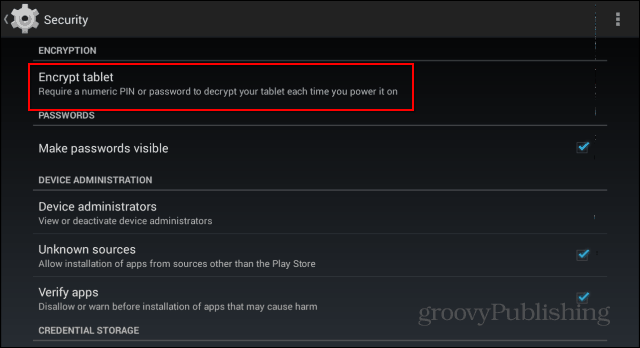 Once all the conditions have been satisfied, you can go ahead and tap Encrypt tablet, but before you do, you’ll be warned once more that the process is irreversible and, if interrupted, will result in data loss. If you’re sure, go ahead with it. You’ll then see an Android symbol and a progress meter while your data gets encrypted and you’ll be required to provide your PIN or password every time you want to use your Android device. I have a Samsung Centura 738A, Android, and when I click on “Security” there is no encrypt. 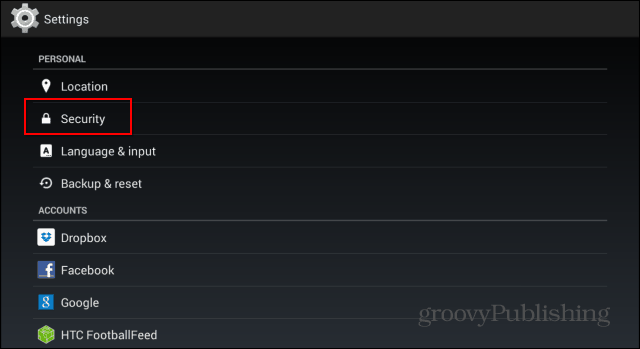 I don’t have that specific model, but I’ve just looked into an Android Samsung and it’s the first option under Security.